In addition to her work as the world’s best-selling novelist, Agatha Christie’s playwriting career spanned 42 years from the premiere of her first play in 1930 (Black Coffee) to the last she was personally involved with in 1972 (Fiddlers Three). After a two-year research project led by Agatha Christie Limited - which explored her work in circulation, revisited original manuscripts, and remastered existing plays - Samuel French is now proud to license the below titles in the newly expanded Agatha Christie Collection. All of the plays in this unique Collection were written by Christie herself or by adaptors with whom she personally worked. You’ll find thrilling melodramas and classic whodunnits, as well as dark comedies and Christie’s only historical epic. Get to know the complete Collection in this introductory article. Photo: ©Christie Archive Trust. AGATHA CHRISTIE is a registered trademark of Agatha Christie Limited. All rights reserved. *These titles are new additions to the Agatha Christie Collection. "We had great fun deciding what a 1950s radio studio would look like..."
An amateur theatre company shares an insight into their experiences of staging Agatha Christie’s Murder in the Studio. Most Christie fans are aware of her stage adaptations of And Then There Were None, Witness for the Prosecution, and The Mousetrap, as well as four plays based on Poirot novels (The Hollow, Appointment with Death, Go Back for Murder, and Murder on the Nile), an adaptation of Towards Zero, and her original play Verdict, as well as a few one-act plays in Rule of Three. Fewer people are perhaps aware that those Christie plays that have been available to read and produce for two generations comprise less than half of her total dramatic output. Aquila Theatre present Murder on the Nile. Photo by Richard Termine. Great Lakes Theater present And Then There Were None. Photo by Roger Mastroianni. Peninsula Players present The Hollow. Alley Theatre presents Spider’s Web. Photo by Lynn Lane. Witness for the Prosecution, London. Photo by Alastair Muir. Agatha Christie (1890-1976) is the world’s best-selling novelist: with her books having sold more than 2 million copies around the world, she’s outsold only by the Bible and Shakespeare. Her play The Mousetrap is also the longest-running stage production in theatre history. Born in 1890 in Torquay, Devon, England, to an American father and English mother, she wrote her first play Black Coffee (the only play in which she chose to feature Poirot) in 1930 having been disappointed by the way The Murder of Roger Ackroyd had been adapted into Alibi in 1928. She adapted her bestselling novel And Then There Were None for stage in 1943, giving it a different ending, followed by, in quick succession, Appointment with Death (1945), Murder on the Nile (1946) and The Hollow (1951). With The Mousetrap (1952), Witness for the Prosecution (1953), and Spider's Web (1954), she became the only female playwright to have three plays running in the West End at the same time. Later plays include Towards Zero (1956) co-adapted with Gerald Verner, Verdict (1958) possibly her most unusual play, Go Back for Murder (1960), and Rule of Three (1962) a series of three one act plays. After a hugely successful career and a wonderful life, Ms. Christie died peacefully on 12 January 1976. 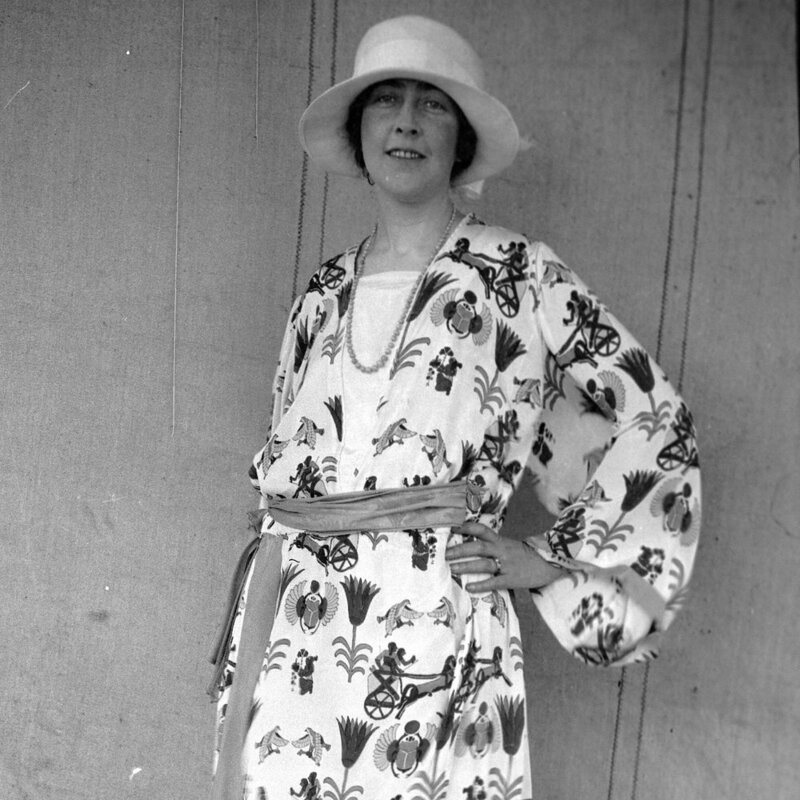 You can read Agatha Christie's own account of her life in An Autobiography which was published after her death in 1977. Agatha Christie Limited (ACL) has been managing the literary and media rights to Christie's works around the world since 1955, when the company was set up by Christie herself. ACL works with the best talent on stage, in film, television, publishing and on digital platforms to ensure that Christie’s work continues to reach new audiences in innovative ways and to the highest standard. The company is currently managed by Christie’s great grandson James Prichard. Recent theatre collaborations include the critically-acclaimed Witness for the Prosecution at County Hall in London, working with Eleanor Lloyd Productions and Rebecca Stafford Productions. ACL also works closely with international theatre companies developing in-territory stage productions.